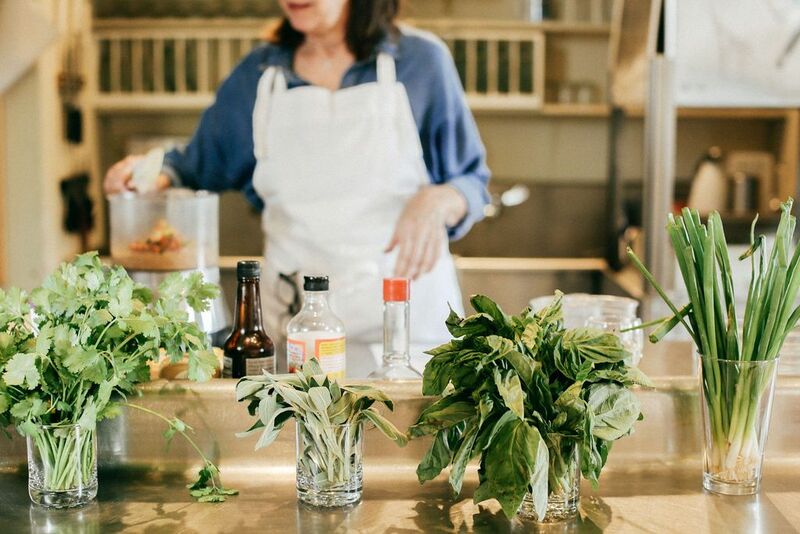 We invite you to join us in our kitchen for a curated series of cooking classes and demos. Classes are lead by distinguished guests from the culinary and wine world. Our seasonally inspired classes span an array of subjects from basic cooking techniques to how to butcher a hog. Taught by Julia Poplawsky, this hands-on class explores the craft of whole chicken butchery. Julia will work with the class to break down an entire raw chicken and will then instruct the class on roasting a spatchcock chicken and making the perfect chicken stock. Each person will go home with their butchered chicken. Class is followed by a spring picnic inspired spread featuring chicken salad and roast chicken, with complimentary wine pairings provided by La Bergerie. For more information on booking this class, please call us at 830.997.6739 or email Evelyn at evelyn@austinstreetgroup.com. 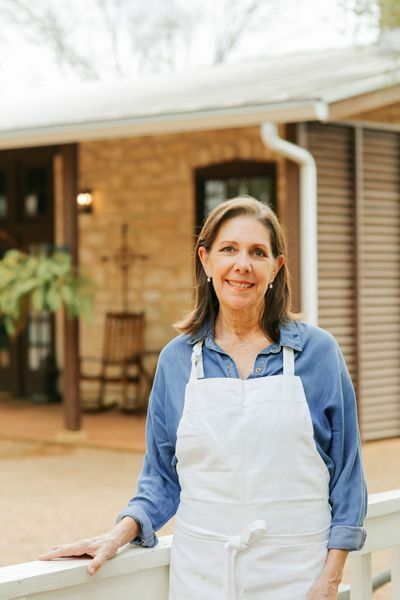 To celebrate Spring, Leslie Washburne, Owner of Hoffman Haus, will explore the benefits of vegetarian cooking with a three course meal, perfect for a al fresco luncheon. Leslie’s will share her easy to follow recipes that showcase how vegan cooking can be flavorful and filling! The menu will include: Spring Green Veloute with Artichoke Parmesan Bites, Roasted Vegetable Roulade and Chocolate Pot de Creme. The class is followed by a sampling of the menu with complimentary wine pairings provided by La Bergerie. 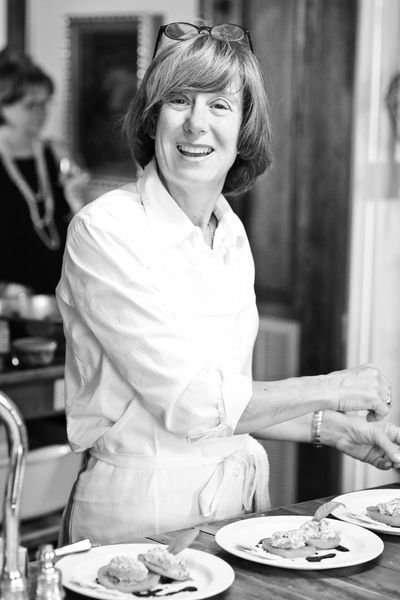 No one knows spices better than Karen Vaucher of Old Stone Market. This lavender focused class a the perfect Mother's Day treat! Lavender is a very versatile herb, much like rosemary and is widely used in the Mediterranean Regions for culinary as well as medicinal purposes. This beautiful and fragrant herb thrives in Texas.Everyone knows that Lavender is great in lemonade, ice cream, scones and pound cake. But did you know it can be used in savory dishes as well? Karen takes the class on an epicurean journey as she demonstrates techniques for using Lavender in rice, meat, chicken and fish dishes. This course comprises of a 25-30 minute talk followed by a cooking demo and tasting with complementary wine pairings provided by La Bergerie. Private classes and demos can be tailored to your specific needs and group size. Price dependent on class size and area of interest. Please book at least two weeks in advance. For more information on booking a class, please contact us at 830.997.6739 or email us at events@hoffmanhaus.com.